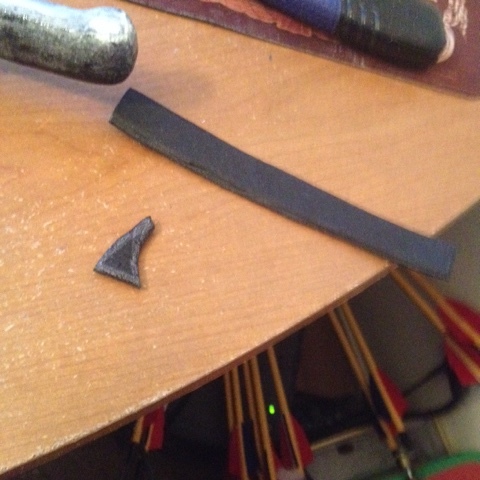 Time to make some crossbows! 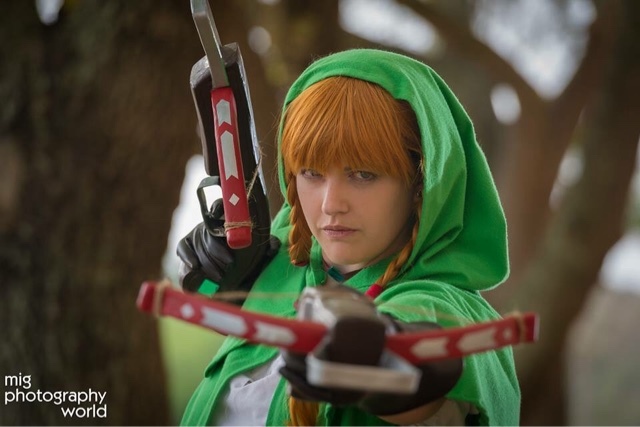 The first thing you need to do with any cosplay project is to gather loads of reference images. 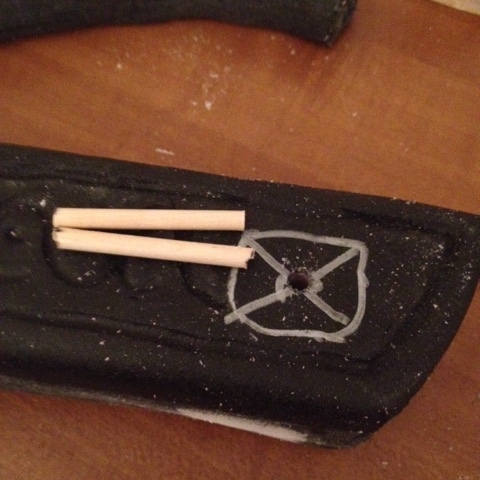 These are immensely important in making sure your cosplay is as accurate as possible. 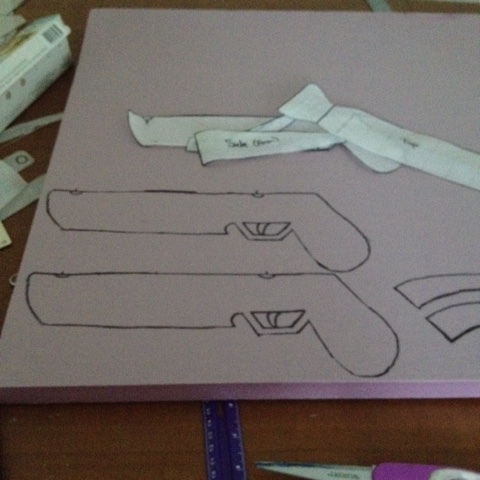 The main body of the crossbow will be made out of pink insulation foam. This can be found at any hardware store, usually near the lumber section. 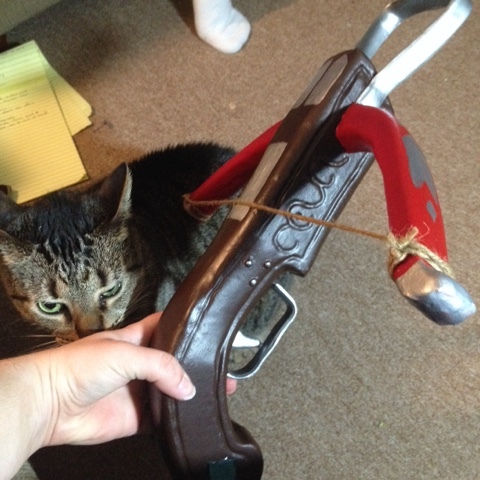 Once you have obtained this item, it's time to sketch out your crossbow body and arms. I sketched two dimensions, a side view and a top view. Using a grid helps keep things symmetrical. Cut these out. 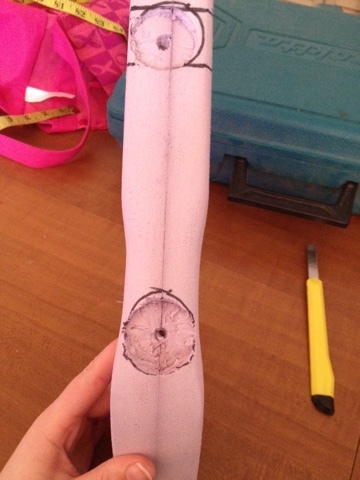 Use the side view to cut out the foam for the body, and the top view for the arms. 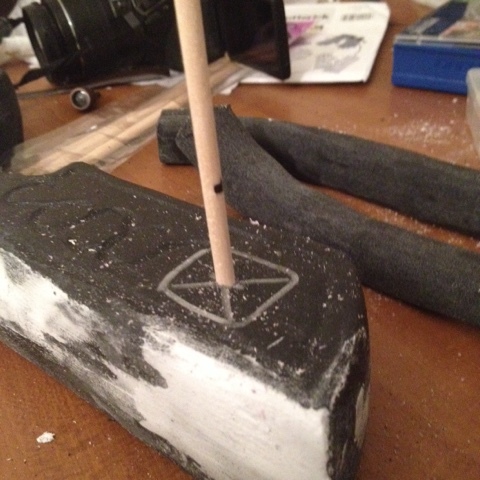 For the body, I used two pieces of foam glued together. 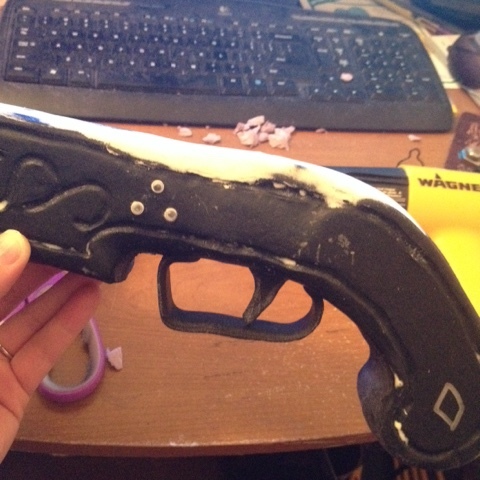 I didn't like the trigger so I ended up cutting it off and making it with worbla later. 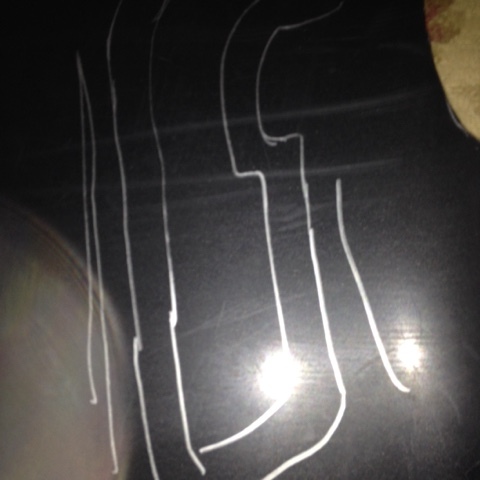 Mark on your crossbow where you want your magnets to go. 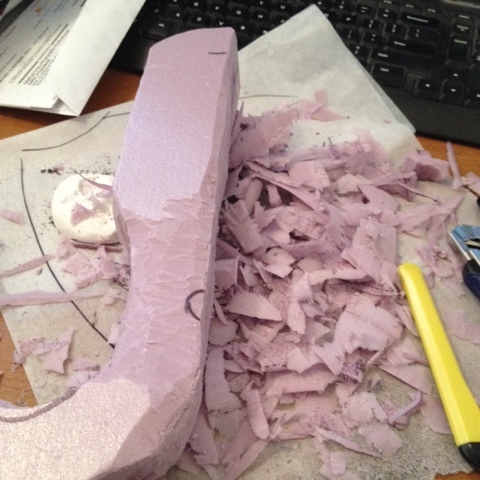 Once glued together, use your top view to guide you as you sculpt your body piece. Use a sharp razor or cut down little by little until you have your basic shape. Do the same for the arms. 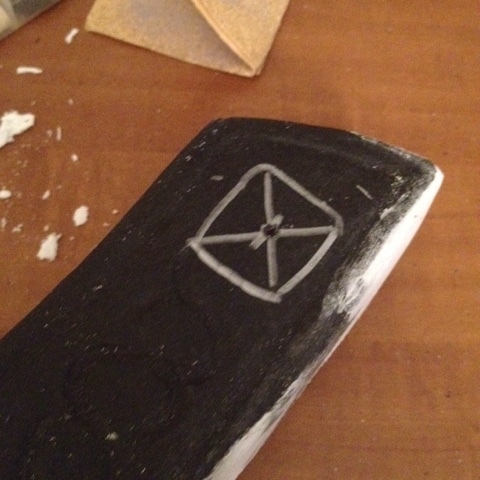 After you have the basic shape, sand it smooth. Notice the trigger isn't included in the body. Once smooth, cut out the circles for you magnets. 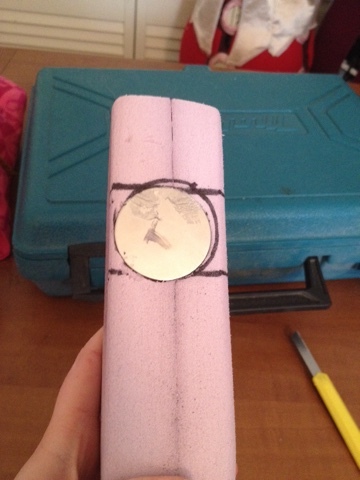 Go slowly, only cutting deep enough for the magnet to set in and be flush with its surroundings. Hot glue in place. Use spackle to clean up any defects. Sand smooth. Carve in side details. I used a wood burner to do this. Cover in worbla. 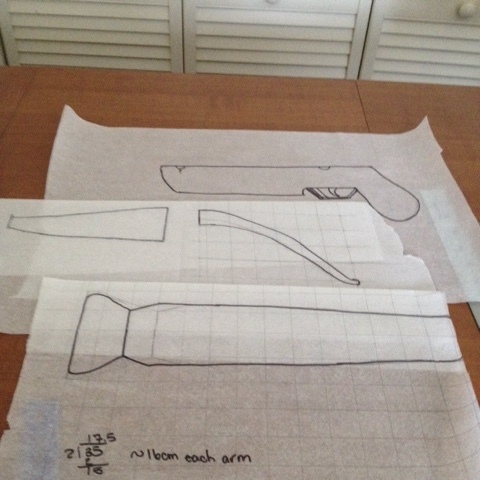 I use two sheets and tried to eyeball the measurements. 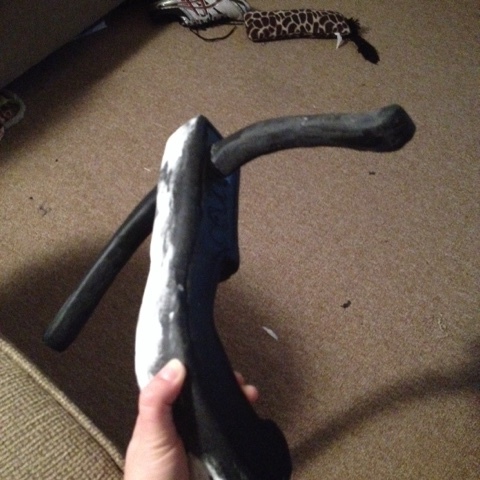 Be careful when using the worbla as the heat gun will melt the foam. I recommend covering the entire thing, then going back to press in the details. 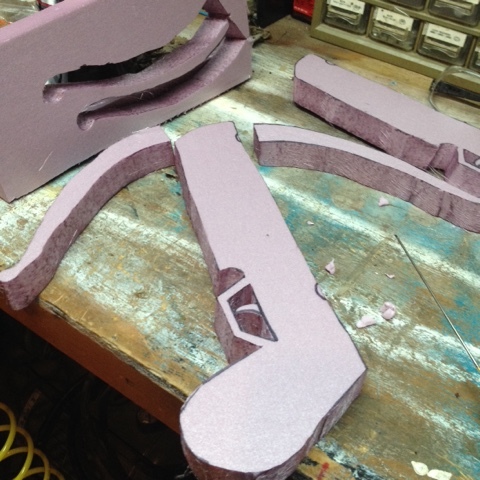 Trim excess worbla. 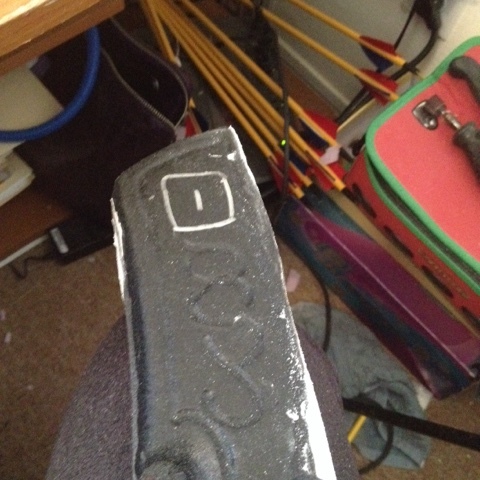 Use dremel to sand down trimmed edges. 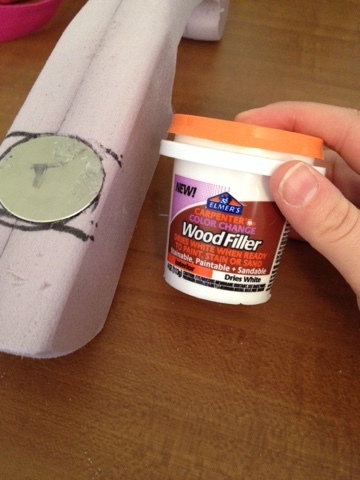 Use bondo to fix any defects. Repeat entire process for arms. Mark where arms will go, measuring as needed. Drill a hole in the body and arm. 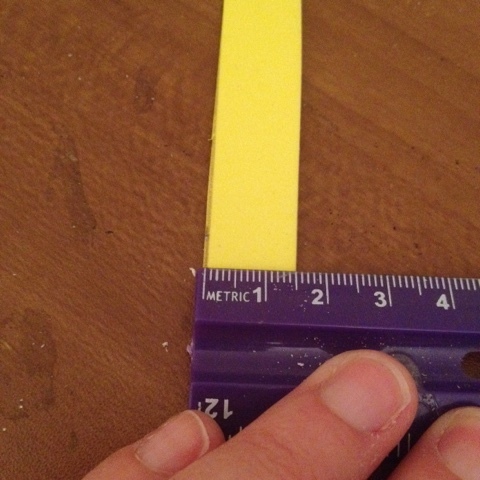 Measure out a dowel rod to affix the arm to the body. 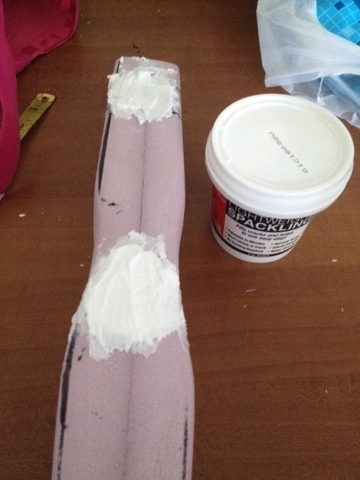 Glue dowel into body. I used wood glue and allowed it to sit overnight. 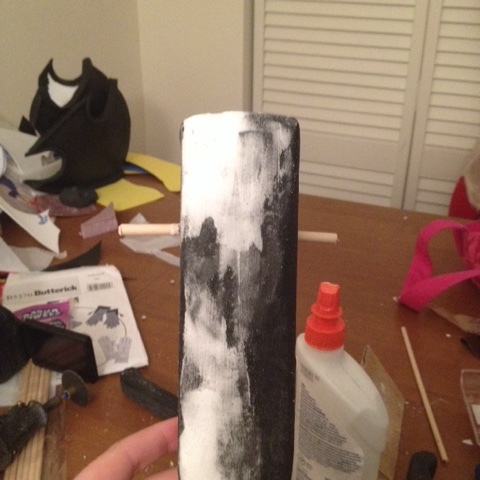 Drip glue into arm hole, then heat worbla on body and arm. Affix arm to body. 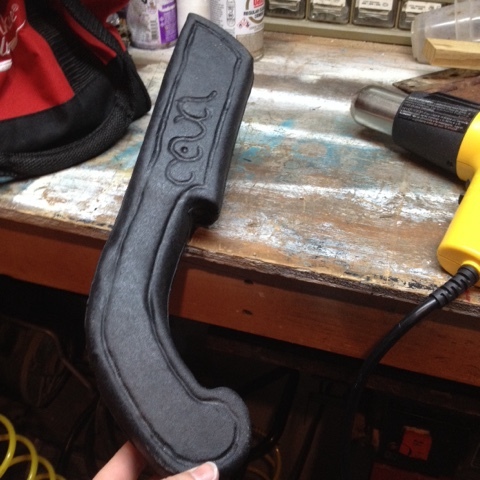 To make trigger guard, cut foam in thickness and length desired. Sandwich in worbla. Heat and bend and attach. Make front piece in the same fashion. 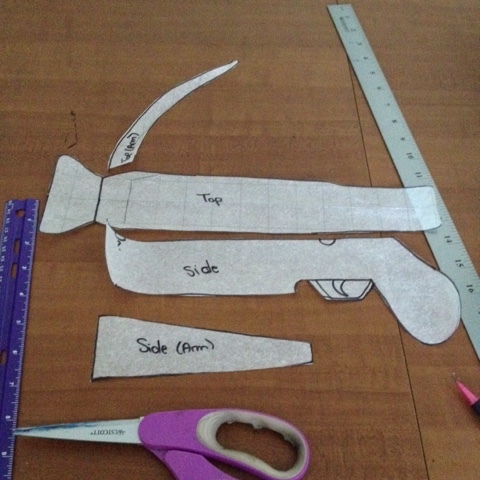 Make trigger by heating and sculpting worbla. Glue on googly eyes for rivets. Prime with wood glue then paint. Attach string. 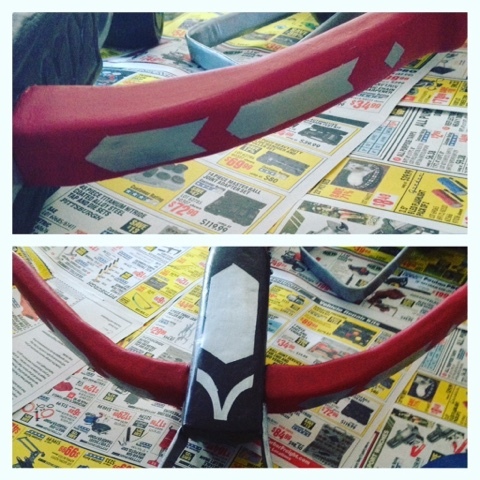 And be neat and tape off your design the first time so you don't have to repaint like me!